Our purpose as a Centre is to encourage deep thought in building an enterprise economy founded on ethical principles. We are passionate about business and believe business to be a key force for good, indeed for the common good, for the relief of poverty and the delivery of jobs, goods and services in the economy. Poor business practice and behaviour, however, severely damages the case. We want to think about the issues, ask questions and encourage participants to think. You don’t have to agree but do please reflect with us. We will avoid politics but not policy, draw on theology, philosophy and ethics as well as business and economics, and, try to dig deep, avoiding knee-jerk reactions! What are the lessons from the failure of Carillion? First, a confession. I did not know that Carillion, formed from a demerger of the Tarmac Group in 1999, had absorbed some of the major construction firms in the country, including McAlpines and Mowlams. The main remaining competitor was Balfour Beatty – merger talks were undertaken, unsuccessfully, in August 2014. So, the first question is that of size and competition. One simply asks how wise it is to have allowed a such a firm to grow to such an extent, not least as a major recipient of public sector contracts? Clearly bidding for a contract to build HS2 or a major hospital requires a company or a consortium of some size and significance. However, a lack of competitiveness may be disguised and indeed the public sector might be heavily exposed by a failure – as indeed has been the case. Second, the nature and range of the company’s activities. In the 2016 Annual Report, the company describes itself as ‘one of the UK’s leading integrated support services companies, with a substantial portfolio of Public Private Partnership projects, extensive construction capabilities and a sector-leading ability to deliver sustainable solutions.’ One nearly falls asleep before the end. Of course, technically I know what it means, and more detail is given subsequently but it does leave one with the impression of a lack of focus. So the company that builds (with others of course) HS2 and is the prime receiver of Network Rail contracts also delivers school meals and cleans our hospitals. Whether the local unit is the school, the hospital, the local authority, the health trust or the academy trust, surely it is that local unit that is best placed to place contracts for supplies preferable in the local area with smaller and medium sized firms? Third, the business model. From the point of view of the collapse of the firm these issues go to the heart of the matter. Large scale, extensive contracts – with all of the complexities of revenue recognition, the need for a constant supply of new contracts to keep the cash flow moving (and hence a likely deeply flawed risk analysis) and hence a dependency also on ever increasing debt funding requirements. There are constant references in the Annual Report to the quality of the order book and the pipeline of new contacts. In its 2016 accounts Carillion’s borrowing requirements rose by 29% to £219m. In its July 2017 profit warning the company wrote down its contract values by £845m. All of this also raises significant questions about public procurement – if the public purse always demands the ‘cheapest’ the outcome may be not the best ‘value’ especially if margins are so thin so the slightest problem with a contract (for example, discovering asbestos at the Royal Liverpool hospital) might send a company over the edge. Fourth, this feeds into the problem of lack of transparency. Millions of pounds of contract values and the associated debt did not appear on Carillion’s balance sheet as projects were funded in joint ventures or were otherwise off-balance sheet. I would not be surprised (but I do not know) if there was substantial interest capitalisation and management fees hidden in the joint ventures. It was, presumably, these contracts that were written down. 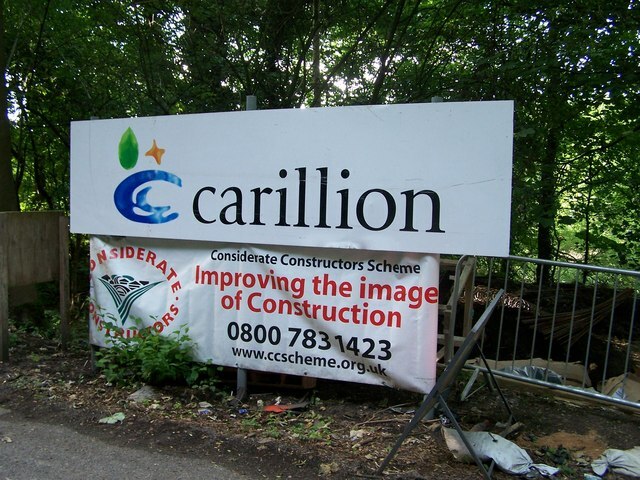 The impact fed straight through to Carillion. The group also carried nearly £1.7bn of intangible assets in its accounts (effectively the ‘goodwill’ from previous acquisitions). Given that the group’s total net assets were merely £730m the perilous nature of the current funding demands facing the company are clear to see. The goodwill did not prove to be of much worth. Fifth, punitive payment terms to its SME suppliers, in 2013 raised to 120 days – four months for its suppliers to be paid! To be honest I simply find that morally unacceptable. The small suppliers were funding the company. In the 2016 accounts trade payables were 25% higher than trade receivables and indeed were 20% higher than the previous year. Sixth, the pension scheme deficit. In 2016 the Carillion pension scheme liability rose from £406m to £811m. 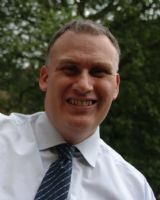 Pension scheme problems have loomed large over many businesses and outside the public sector defined benefit schemes are now rare. Indeed such deficits (as with Carillion) are with now closed or partly closed schemes. Liabilities are now on company balance sheets – partly, I suppose, to make the company take responsibility. This is a double-edged sword. Companies have an absolute responsibility for their employees and, it is true, quickly take advantage if any such scheme is in surplus, but the burden of such deficits is almost certainly unsustainable. It is probably time to call time on defined benefit schemes in both private and public sector. The importance of all of this? Carillion displayed many of the characteristics of an overtrading contracting company. To continue to exist it needed cash and credit (borrowed, taken from suppliers, not properly funding the pension deficit) and new contracts and deals all the time. Margins were thin. Cash flow was key; the difference between success and failure was a fine line. Intangible assets that were, shall we say, highly intangible; off balance sheet items written down having devastating effect. Add to that the old chestnut of inappropriate remuneration policies. I have no objection to highly paid executives. What I object to is highly paid poorly performing executives. Golden parachutes without effective claw back mechanisms. The losers – the employees, the customers (not least the government) and the suppliers. And, the case for capitalism. Many with business and accounting knowledge no longer expect the P&L account to tell the full story – the key lies in the cash flow – where the dangers to the company were spotted of course by the short sellers. However, surely one of our principles of corporate reporting should be clarity. Of course, I realise that this is not the first time that some of these detailed technical matters have been reviewed and ever more detailed accounting standards and disclosures developed to try and cover eventualities. I cannot rewrite an accounting standard in a sentence and neither should I try. I am saying, it is time to stand back and ask some more basic, fundamental questions of purpose. Second, it points to the continuing importance of corporate governance. In the same way that ethics statements on boardroom walls are no guarantee of an ethical culture, never mind of good behaviour, so also, ever lengthening reports from directors, remuneration, nominations and strategy committees, not to mention the directors’ report itself, and the auditors’ report may be missing the basic points about corporate governance. Carillion’s 2016 Financial Statements did not start until page 89 of its Annual Report. Honesty and integrity in governance, greater clarity over the independence shall we say of independent non-executive directors, transparency in reporting to avoid cliff edges, long-term decision-making and long-term, not short-term, rewards. Yes, I know we have had reviews of corporate governance before and I am hesitant about more bodies and regulators, but I do wonder if we need not another report, but a Standing Commission on Corporate Governance. Third, if we want to avoid more and more pressure to return to another failed model (public ownership, large public sector contracting with its cost overruns and corruption) then we had better seek to develop a better private sector. We need to make again the case for an ethical capitalism. We need also to develop better, or at least healthier approaches to the public/private sector relationship. The reality is that private financing of public infrastructure is the only sure way of delivering capital projects. The social contract, however, needs renewing. Contracts in which the private provider exploits the public commissioner on minor matters stick in the public mind for decades. We need a new approach from both parties to the social contract – private and public. Fourth, greater honesty and integrity from all parties. I doubt the Board of Carillion sought to do other than act in the best interests of the company, or there was any deliberate actions to deceive. Only rarely is that actually the case. However, there was a problem and the problem was simply kicked down the road, or put in the ‘too hard to handle’ pile. In that respect it is not only the Board, but pension trustees, government, banks and so on who also have some questions to answer. Let’s build capitalism not upon sand, but upon rock.